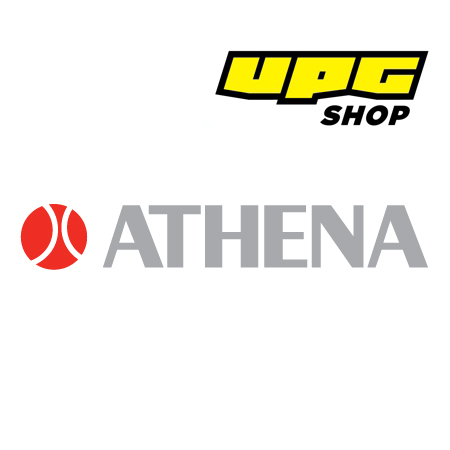 Athena is a Technolocical world leader in Head GAsket design and works with many of the performance OEM manufactures. Each Head Gasket configuration utilizes the best raw materials available, such as AISI 304 Stainless Steel. Athena utilizes state of the art processing such as in-line laser cutting and multi-stage stamping technologies. With our Multi-Layered Steel (MLS) Head Gasket, each layer is individually blanked and formed specially to optimize performance. Through multi stage processing, our embossing process optimizes the radius in the bend areas. The result is reduction in stress points, improved conformability, and superior wet-out (contact area) that is superior to the competition. Our technology also provides a consistent inner flange spacing of (minimum of 0.040”) from the edge to the embossed start point. This results in a superior seal in the embossed areas. This proprietary tempering process significantly reduces forming induced stresses. Pre-coated metal (used by competition) would not be able to survive this stabilization process. Advantages of a tempered metal are reduced hardness and brittleness, increased flexibility and deformation retention. This process dramatically increases the long term durability and reliability of each head gasket. Four different layers are used to provide the ultimate seal between the head and block mating surfaces. These coatings will normally eliminate the need for additional deck surfacing, Our coating processing provides 100% encapsulation of all exposed metal, far superior to the competition that has exposed raw steel on the edges. The layers include Fluoroelastomer (FKM) for extreme temperature and chemical resistance. This technology provides superior conformability, oxidation resistance, and better removability, even after extreme temperature exposure. For specific very high horsepower applications, a conventional or MLS Head Gasket can be significantly improved utilizing a different sealing system for the combustion area. Athena utilizes a proprietary INOX steel fire ring which offers improved sealing technologies over copper and conventional fire rings. 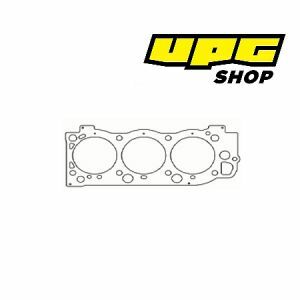 This solution dramatically increases the cylinder head gasket resistance to extreme.